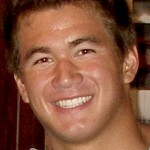 Nathan Adrian’s strong performance at the NCAA men’s swimming championships has drawn some well-deserved attention from the folks at CollegeSwimming.com. Check out what the Web site had to say about the Bremerton native here. Hint: Get used to seeing his face as the future of men’s swimming. Today, Adrian, who was the No. 1 seed in the 100-yard freestyle, had the fourth fastest qualifying time after the morning prelims. I wouldn’t worry tho’ — Adrian loves the outside lanes and he’s been swimming great. He knows what he has to do to win his second NCAA title in three days. A day after winning the 50-yard freestyle, Bremerton’s Nathan Adrian helped California’s 200 medley relay to a second-place finish at the men’s NCAA Swimming and Diving championships at Texas A&M. Adrian, along with teammates Guy Barnea, Damir Dugonjic, Graeme Moore, finished behind national champion Auburn, who touched the wall in one minute, 22.36 seconds — a new NCAA-record time. Cal finished in 1:22.50, a new school record. Earlier in the day, Adrian swam the 200 freestyle — not his best event — and finished 22nd with a time of 1:35.15. On Thursday, Adrian surprised the field by winning the 50 free in 18.71 seconds, breaking his own American record in the event. It was his first NCAA championship. No. 1 seed in that event. He is also slated to swim a leg on Cal’s 400 free relay, which is seeded third. Adrian won a gold medal at the 2008 Beijing Olympics as a member of the United States 400 free relay, competing in the prelims. After 13 events, Cal sits in fourth place with 225 points. Auburn leads the meet with 320 points heading into final day, followed by Texas, 308, and Stanford, 266.5. Will Ellison Start Season With Phillies? Outfielders: Jayson Werth and Shane Victorino are entrenched in right and center field, respectively. After Pat Burrell manned the position for the last nine years, Raul Ibanez will take over in left. None of this is news. However, the Phillies’ backup outfield positions could prove to be a spot where the team looks to make a move. With their starting lineup already dominated by left-handed hitters, the Phillies need a right-handed bat off the bench. As of now, Bruntlett and either Coste or Paulino are their only right-handed options. Don’t be surprised if the Phils trade either Geoff Jenkins or Matt Stairs at some point in the next week or two. Jenkins’ contract (one more year, $6.75 million) would be tough for another team to swallow, so moving Stairs is the more likely option. Even at age 41, the NLCS hero can still be a productive bench player, but he’s best suited for the American League. Look for the Phillies to move him, possibly in favor of keeping Jason Ellison (.286 in 28 at-bats) as a reserve outfielder. Teahan’s Hot Bat vs. Willie’s Glove? Kansas City’s Mark Teahan is making a strong case to win the starting second base job for the Royals. The other leading candidate? Willie Bloomquist, the Port Orchard native who was a utility player during his days in Seattle with the Mariners. Here’s a story from the Kansas City Star. Here’s an injury update on Marvin Williams’ back injury. Apparently he’s feeling better. And he’s been running on an anti-gravity treadmill. What the heck is that? And where do I get one? Also: Here’s a story comparing North Carolina’s 2009 team to the title team of 2005, which had Marvin Williams on it. Playing the role of Marvin this year? Ed Davis. Nathan Adrian, a Bremerton High product, and the California Golden Bears open the NCAA Men’s Swimming and Diving championships today through Saturday at Texas A&M University in College Station, Texas. Prelims are at 9 a.m. with finals at 7 p.m.
Adrian, a sophomore at Cal, is the top seed in the 100-yard free with a time of 41.43 seconds and is the current Pac-10 champion. Adrian is seeded second in the 50 free in 18.82 seconds — the current U.S. record. Australian Matt Targett of Auburn is the top seed in 18.52. He is also seeded fifth in the 200 free. Adrian is also slated to swim in the Bears’ 400 medley, 200 free, 400 free and 800 free relay teams. Adrian is the Pac-10 champion in all three of his individual events. The 50 free, 400 medley relay and 200 free relays events are scheduled for today. 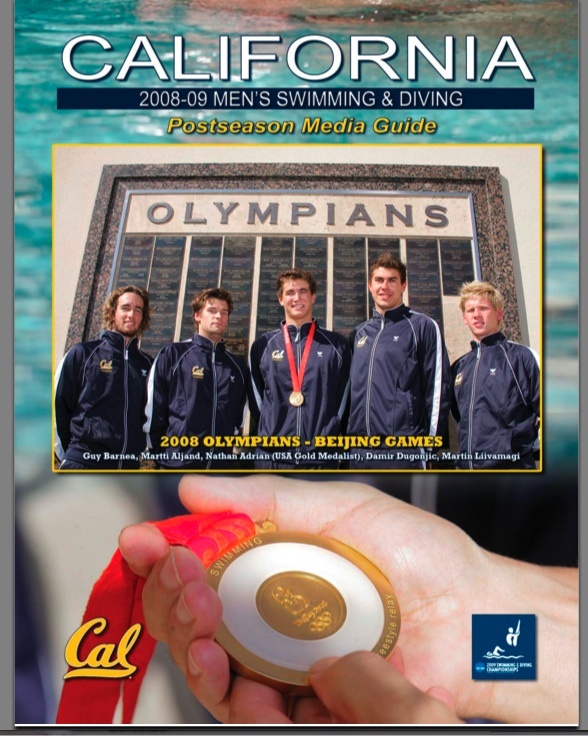 Cal’s 400 medley relay currently holds the NCAA record in 3:03.30 and is the No. 1 seed. Friday’s events include the 200 free and 800 free relay while Saturday is the 100 free and 400 free relay. A live video by Swimming World Magazine can be found on the championship web site here.